All of you who have been sticking around for a while know that I have a thing for backpacks and that you can sometimes see me wearing a cross body bag but never a handbag. I find handbags quite unpractical because you need to hold them so one of you're hands is unavailable at all time. Most of the time I overpack my bag cos hey I'll definitely need stuff from that cosmetic bag, two packs of tissues, wet tissues, a comb maybe even an umbrella. Carrying all that around for the day wouldn't feel nice after what, 30 minutes, maybe less? 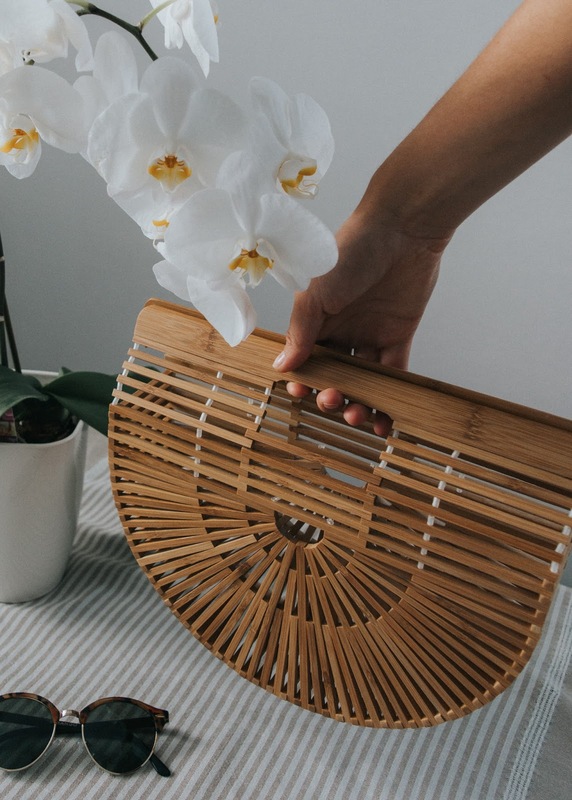 This spring/summer you could have seen this lovely bamboo bag all over social media. Most of the time when you visit the official store it's out of stock. Everyone wants one and needs one in their life. It's the perfect summer bag that goes with every combination. Due to it's sturdy shape and "transparency" it makes you overthink what you'll put in and "show" around. It's made of natural material so it's sustainable, the design is timeless and eye catching, it's one of the items you'll have and wear for years. Even if you stop wearing it and/or place it on your shelf it will look like a piece of art, not just a bag. After eyeing it for months and overthinking should I or shouldn't I get it I decided to treat myself for my 21st birthday. Ark is a neoclassical piece that can find place in everyone's closet. 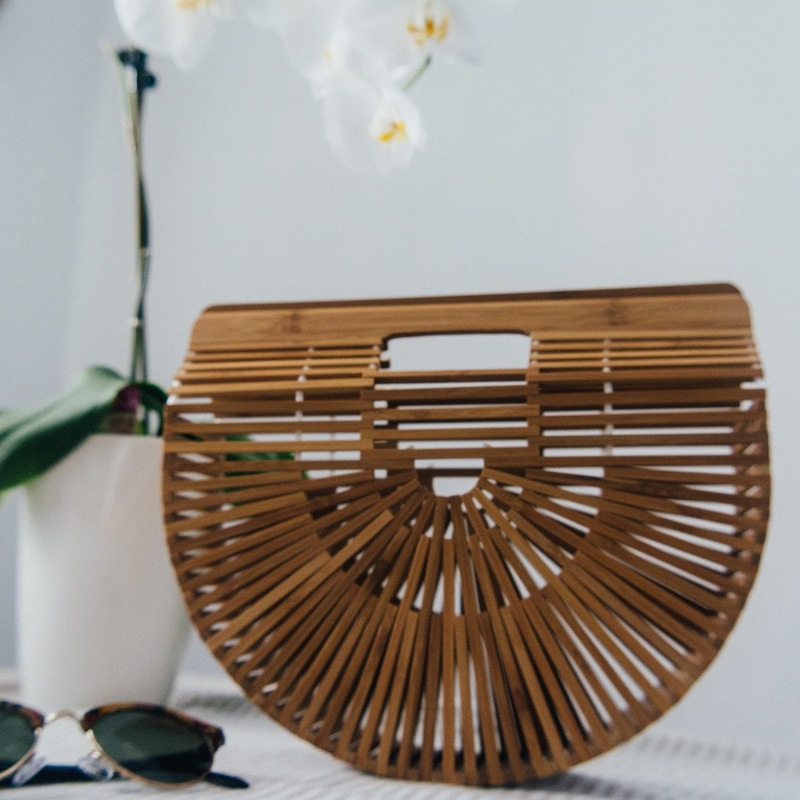 If you're a vintage lover and don't have a cute summery straw bag, this one could take it's place. I'm so glad I got it. It was kinda in the middle of summer so I didn't get to wear it too much so I'm looking forwards to next Spring and wearing it whenever I go out. 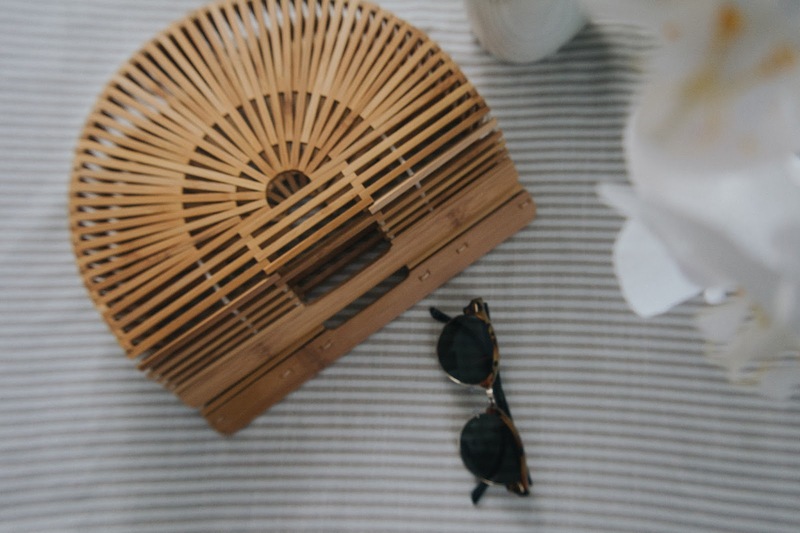 It makes me take just the necessary things like wallet, sunnies and a pack of tissues which will hopefully help me stop carrying all the unnecessary stuff I usually have. Are there any "iconic" pieces that you have in your closet or would like to have?